Is it fall yet? We're kinda looking forward to the cooler temperatures but since we're still enjoying the last few weeks of summer, it's time to highlight some more seasonal transition shoes, like these Schutz Nicolly Pointed Toe Heeled Mules. 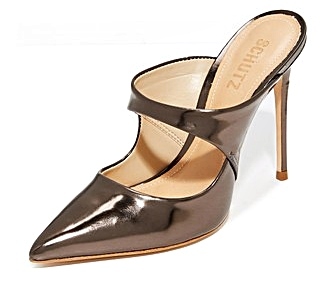 The sleek, pointed toe slip-ons boast a wide, sculpted strap across the midfoot, faux leather upper, a stunning bronze color, and a cigarette-thin, 4 1/4" stiletto heel. 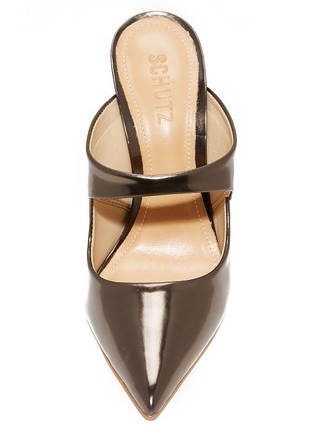 We love a dark neutral for the fall season and these will certainly compliment your summer to fall wardrobe. 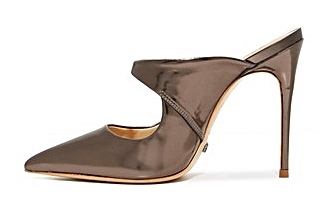 Grab them in your size for $180.00 each at www.shopbop.com.